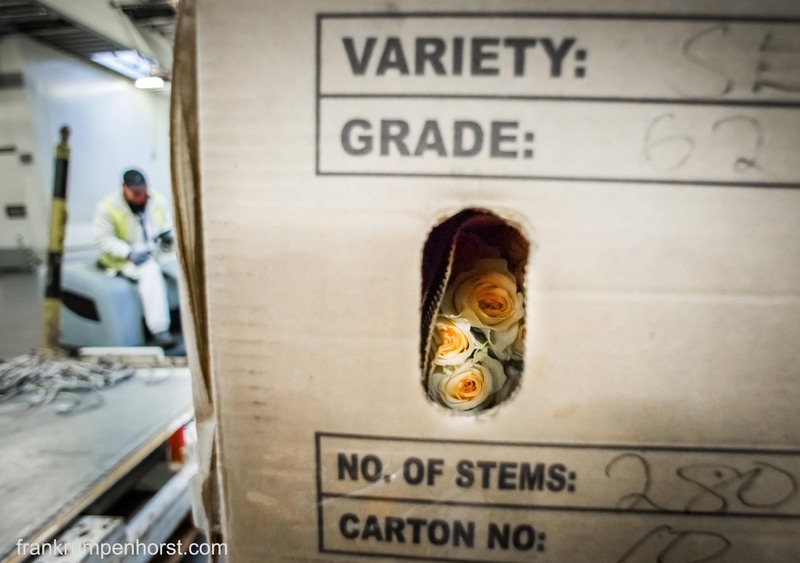 Roses in a cardboard box at Frankfurt airport after being freshly flown in from Kenya. Last year, Germany imported some 20 million roses from that African country, the peaks always being the weeks before Valentine’s Day and Mother’s Day. In 2013, Frankfurt was ranked No. 8 among the world’s major airports in cargo traffic.